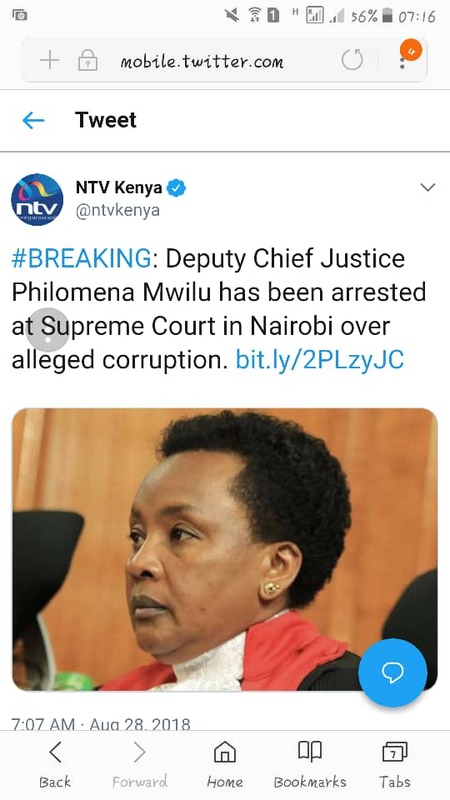 (Reuters) – Kenya’s deputy chief justice Philomena Mwilu was arrested on Tuesday on suspicion of corruption, failure to pay tax, and improper dealings with a local bank now in receivership, the police and the country’s top prosecutor said. Reuters was unable to immediately contact representatives of Mwilu. Corruption in East Africa’s biggest economy drains billions of dollars from the state each year. The government has launched a new anti-graft push this year led by Haji, a former deputy head of national intelligence, who has brought criminal charges against dozens of civil servants and businesspeople. The detention of the deputy chief justice was the highest profile since a series of corruption-related arrests began several months ago. 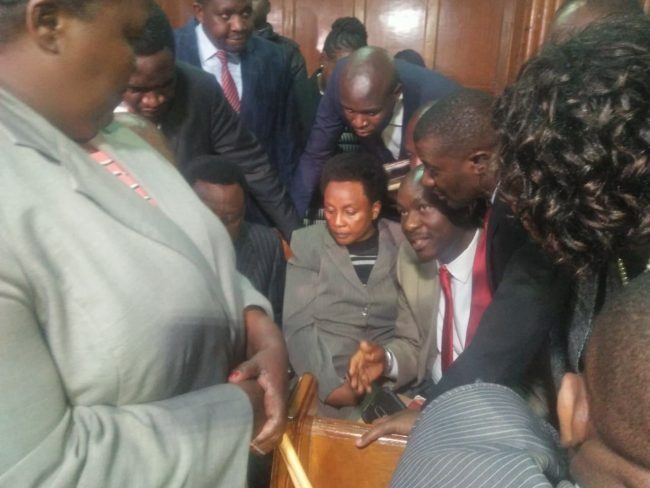 “Lady Justice Mwilu… accepted gifts in the form of money which undermined confidence in her office,” said Haji. He said Mwilu had also obtained “execution of a security belonging to Imperial Bank, now under receivership, by false pretence” and had “conducted herself in total disregard of the law”, citing what he said was her failure to pay tax. Haji gave no further details. “I have concluded that the evidence is sufficient for a reasonable prospect of conviction and it is in the public interest that criminal proceedings should be preferred,” Haji said.